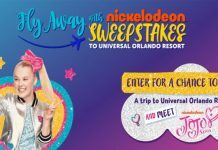 Anything can happen if you enter the Nickelodeon Kids’ Choice Awards Sweepstakes at www.nickkidschoiceawardssweeps.com between January 24 and February 25, 2019. You and your family could win a trip to Los Angeles to attend the big show on March 23, 2019 for every unexpected moment and a whole lotta Slime. Eligibility: To enter the Nickelodeon Kids’ Choice Awards Sweepstakes you must be: (i) a legal resident of one of the fifty (50) United States or the District of Columbia; (ii) at least twenty-one (21) years old at time of entry and the parent of a child between the ages of six (6) and seventeen (17) years old at the time of entry. 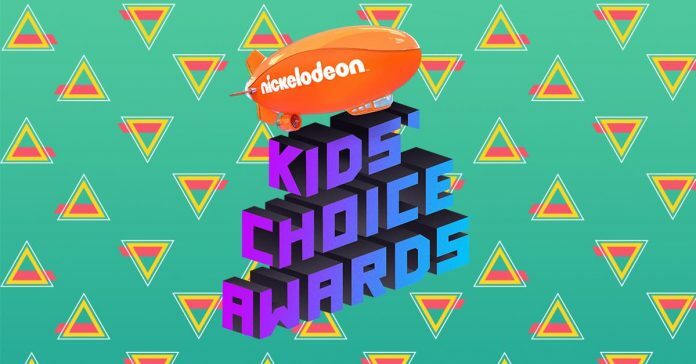 Details: By entering the Nickelodeon Kids’ Choice Awards Sweepstakes, you could win a trip for you and your family to the 2019 Nickelodeon Kids’ Choice Awards on March 23, 2019. For complete details and official rules, visit www.nickkidschoiceawardssweeps.com. Next articleWe Have The Right This Minute Buzzword For Today!